In a medium pot, add in water and bonito soup powder and bring to boil. Stir white miso paste through a sieve into the soup. This will ensure the miso paste dissolves evenly into the soup. Add in tofu cubes and bring to boil. Taste and adjust with more miso paste if necessary. Add desired amount of rehydrated wakame and spring onion in a soup bowl. 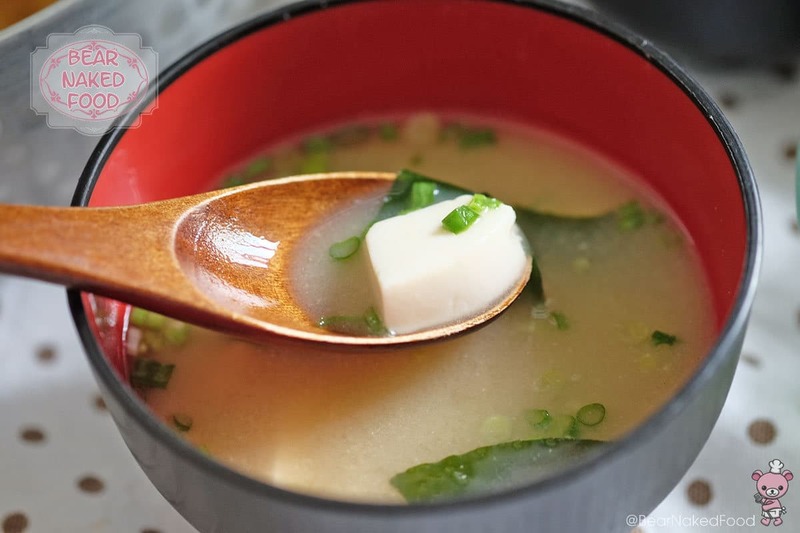 Ladle miso soup into the bowl and serve hot.